Blackwood’s Magazine, or “Maga,” first appeared in 1817, “breaking upon the startled gaze of Edinburgh Whigdom.” It soon gained a notoriety for being, more than anything, an affront to the Edinburgh Review, subject of this blog’s previous post. This rivalry served to give Blackwood’s popularity a boost throughout Regency Britain, along with the curious way its writers adopted numerous pseudonyms; a practice that probably began with one John Wilson. He was born a gentleman, with a comfortable fortune and had only dabbled in writing because of crippling self-doubt about his literary abilities, bringing himself to publish only a few of his poems. Then one day he discovered that his inheritance, made from the manufacture of paisley, had been speculated away, thanks to the efforts of an unscrupulous uncle. With a wife and children to support, Wilson was forced to move into his mother’s house on Queen’s Street in Edinburgh and seek employment. Blackwood’s was hiring writers–the previous ones having been sacked by Mr. Blackwood for producing a dull first volume. 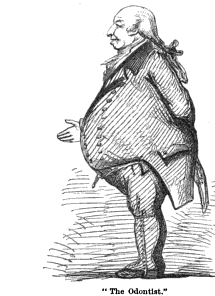 Reluctantly, Wilson accepted the job, girding himself against his old insecurities by assuming a pseudonym, an alter ego that would serve as a cloak once he sallied forth with his fellow literary critics to assail (some called it assassinate) the characters and careers of those beloved by the Review and its editor Francis Jeffrey. It must have felt positively delicious, this new-found freedom that came from masquerading as another. Indeed, the other critics at Blackwood’s adopted Wilson’s penchant for fake names, if for no other reason than to “perplex the public.” Some of these appellations were mystical, some were just ridiculous–Timothy Tikler, Baron Lauerwinkle, William Wastle and Dr. Ulrick Sternstare. Pretense became deception, in the manner of a very wicked joke on poor Leigh Hunt. 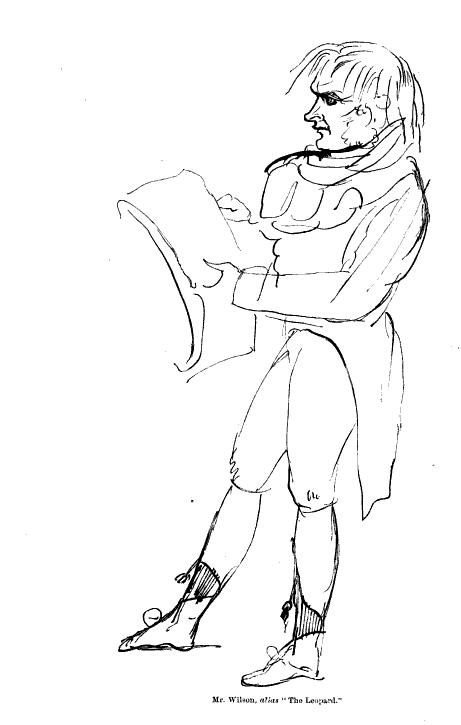 Blackwood’s was fond of targeting this darling of the Review and often accused the poet of badgering the Whig periodical to include favorable reviews of his work in its pages. This might have gone unnoticed by Hunt had he not received letter from one John Dalyell apologizing for the terrible things he’d written about the poet in Blackwood’s. Hunt scratched his head, perplexed, wondering who the devil Dalyall was. He sought the advice of the Review’s editor, who instantly recognized the name of the apologist. Dalyell was appalled and furious. Of course he hadn’t written any such thing about Leigh or his poetry. He hated Blackwood’s. He had to sue them for libel once. “Oh, the villainy of these fellows!” he declared. He’d been made a figure of fun. Everyone in Edinburgh knew John Dalyell–he was the most prominent Whig in Edinburgh. Now they knew him as a contributor to a wretched Tory magazine. As amusing as Blackwood’s was, John Wilson eventually wearied of writing as someone other than himself. Escape came in the form of a professorship of Moral Philosophy at Edinburgh University. He was happy to leave the hurly-burly world of literary society to a place, however dull, where his insecurities could be soothed–the ivory tower. This entry was posted in Regency and tagged Blackwood's Magazine, Christopher North, Coleridge, John Dalyell, John Wilson, Leigh Hunt, the Edinburgh Review, the Leopard, the Odontist by Angelyn. Bookmark the permalink.